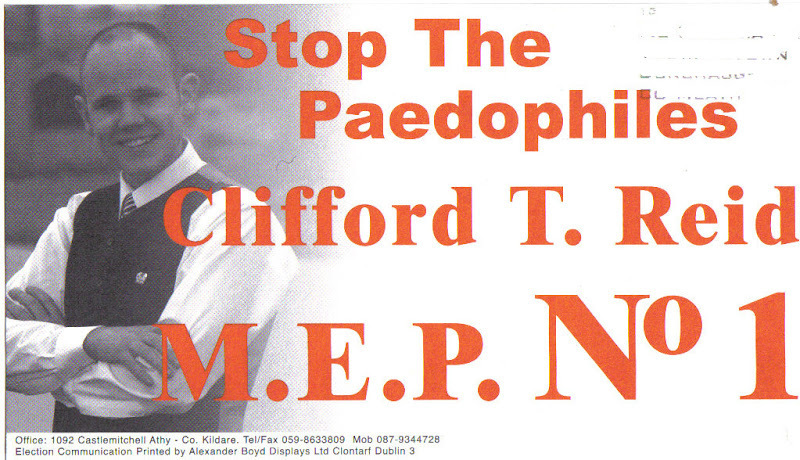 From the 2004 Euro Elections a leaflet for Independent candidate Clifford T Reid. A fairly eye catching slogan, which had posters all around Leinster. He since appeared on the RTE show Beyond Endurance where the volunteers in the show went to Antarctica to retrace some of Shackleton and Tom Creans footsteps. All his posters got robbed around Kildare by people wanting them as souvenirs – strange but memorable candidate.